Place celery, carrots, onion and potatoes in the bottom of a large slow-cooker or crock pot. 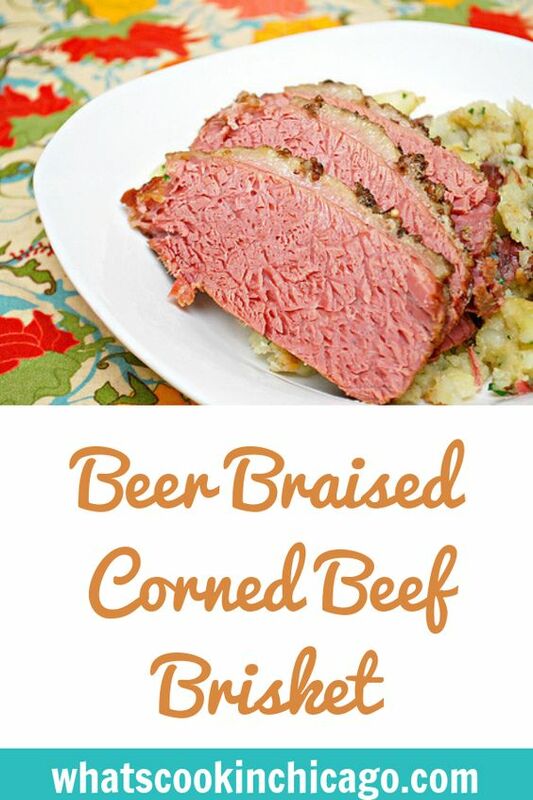 Rinse the corned beef brisket and place over vegetables. Add the chicken stock or broth, spices and enough water to just cover the meat. Cover and cook on LOW for eight to twelve hours. Remove the meat and vegetables from the pot and cover with foil to keep warm. Thanks for sharing this recipe! Can you work on a Paleo recipe for Colcanon? I've seen a couple online using cauliflower. I'm tempted to try using sweet potatoes in place of cauliflower. 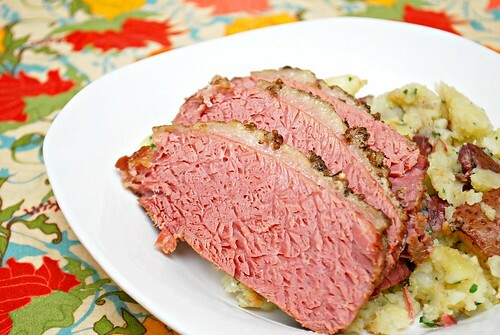 I always do pressure cooker corned beef - this is the exact opposite. Definitely worth a go!